I am a respectful and empathic person who recognizes the importance of underlying issues. Many people come to therapy because of long-standing issues that continue to affect and put a damper on their lives. They see the pattern and want to make a change. Other people are dealing with a crisis or otherwise very upsetting situation in the present. Life really is very difficult at times. My approach is therefore geared to the issues, needs, and goals of my clients. I utilize an insight-oriented approach when underlying factors are contributing to emotional pain, but I also utilize mindfulness, relaxation, and problem-solving to help people accept what is beyond their control and to find solutions right for them. issues, relationship issues, life transitions, GLBT issues, co-dependency, ACOA, and post-traumatic stress. Perfectionism and shame cut across many issues, and I have helped numerous people overcome them. 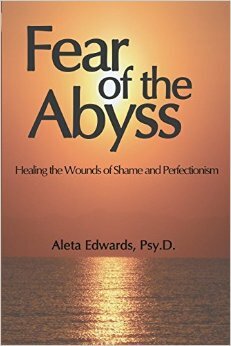 These two core issues are the main topics of my book, Fear of the Abyss. I am well-informed about cultural-ethnic issues and have great respect for them, as well as for different lifestyles. I have worked with numerous young adults dealing with life transitions and other issues, as well as older adults dealing with later-life issues. I offer individual, couples, and group therapy.